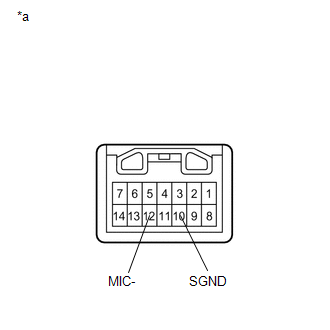 The navigation receiver assembly and inner rear view mirror assembly (amplifier microphone assembly) are connected to each other using the microphone connection detection signal lines. Using this circuit, the navigation receiver assembly sends power to the inner rear view mirror assembly (amplifier microphone assembly), and the inner rear view mirror assembly (amplifier microphone assembly) sends microphone signals to the navigation receiver assembly. 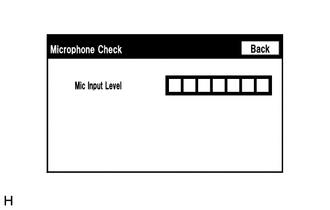 Refer to Check Microphone in Operation Check (See page ). 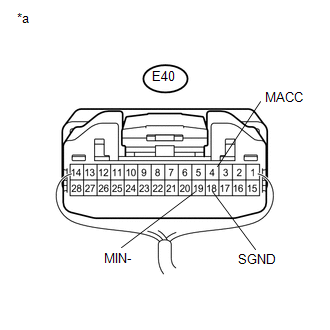 (a) Reconnect the E40 navigation receiver assembly connector. (b) Reconnect the P12 inner rear view mirror assembly (amplifier microphone assembly) connector. 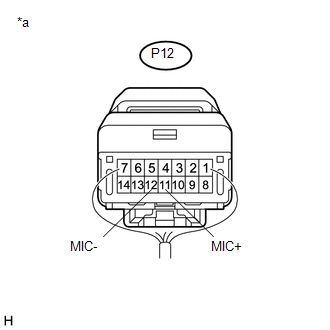 (d) Connect an oscilloscope to terminals 11 (MIC+) and 12 (MIC-) of the P12 inner rear view mirror assembly (amplifier microphone assembly) connector. 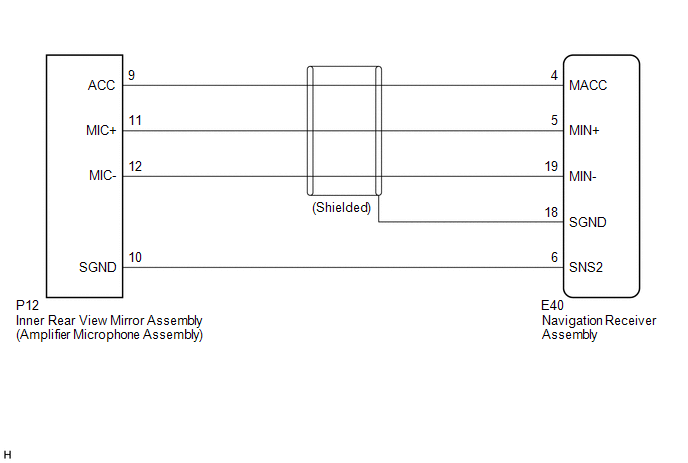 (e) Check the waveform of the amplifier microphone assembly using the oscilloscope.